There are many individuals and businesses that provide tax preparation services, lots of them spring to life around this time of the year. It’s a competitive field so you have an option to select anyone you like. I know it may be a hassle to spend time looking for a preparer, but in the end, your final satisfaction and success are at stake. Your investigation does not need to be very elaborate but at least you should consider reviewing the categories mentioned below. 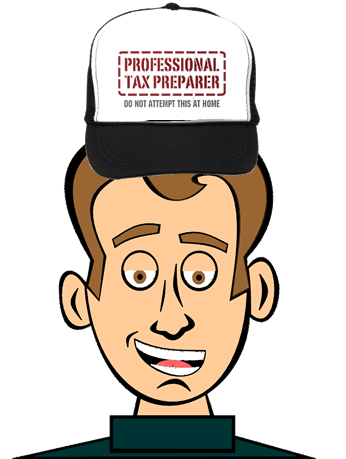 Tax attorneys / lawyers – Most suitable for very complex tax scenarios; their knowledge of tax law is often applied to legally shelter portion of income; most expensive of all preparers. Certified public accountants – Proficient in accounting and can effectively combine personal and business returns. Chain tax franchises – H&R Block or Jackson Hewitt offer services throughout the year at reasonable prices. Store front preparers / local tax services – Most common type of business, most appropriate for straightforward tax situations. Even if you’re choosing a tax preparer based on word of mouth recommendation, you should always verify the person’s references. One of the most important questions to ask is whether or not the preparer has a PTIN number. PTIN, or Preparer Tax Identification Number, is issued by the IRS and verifies that the person has registered with the IRS and is qualified to provide tax services. You can always verify that number with the IRS and make sure that the preparer puts it on your return. Additionally, you can check with Better Business Bureau for particular establishment’s history to ensure you’re handing over your personal information to a legitimate place. Doing your due diligence with checking the preparer’s background is important but that alone should not decide your selection. Ask for a fee schedule, study what the fees are based on, and try to get a rough estimate of how much a preparation of your return may cost. I suggest comparing those fees with other places to get an idea whether or not you’re getting a fair deal. If your trusted accountant charges you 10% more than the competition, it might not affect your decision; you’re paying for the comfort and peace of mind. But if you could pay half of that amount elsewhere, it may be a good idea to give it a try. How long has your tax preparer been in business? It helps if the person preparing your taxes has been around for a while; staying open extended hours during tax time surely helps but it’s also important to know that the business will be open in August or September. Not everyone is able to file taxes on time and if you filed for extension and want to send your return during the summer months, will your preparer be there? Does he/she have enough clients to stay in business throughout the year? Do not put their PTIN number on the tax returns they just prepared. Charge fees related to refund amount. Ask you to sign a blank form. Promise a refund of certain amount upfront without even analyzing your information.